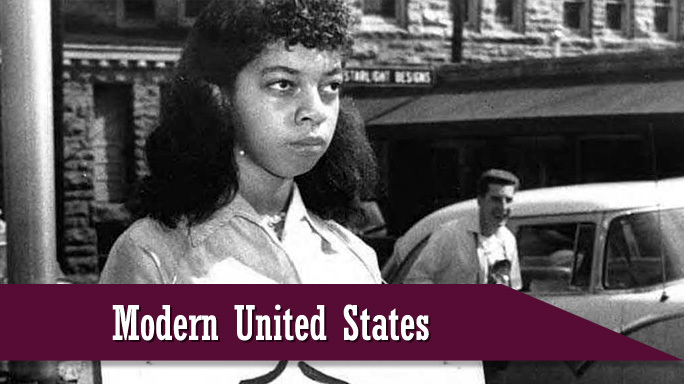 Click on topics below to find primary sources related to curriculum standards. 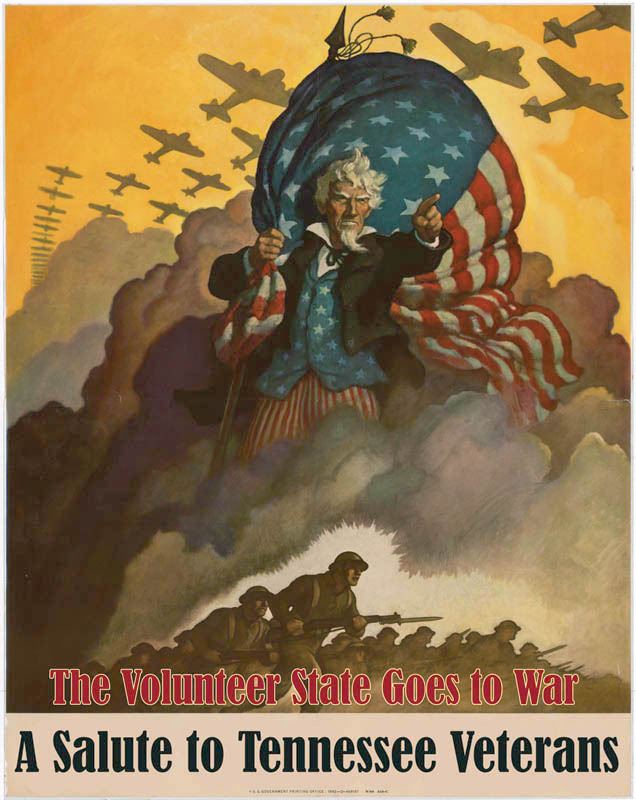 To see all primary sources for the Modern United States, click here. 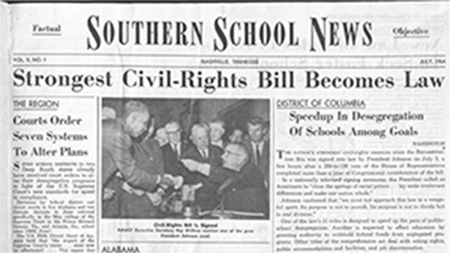 Southern School News was published by the Southern Education Reporting Service (SERS), a fact-finding agency established by southern newspaper editors and educators with the aim of providing unbiased information to school administrators, public officials, and interested lay citizens on developments in education arising from the U.S. Supreme Court opinion of May 17, 1954, Brown v. Board of Education of Topeka, Kansas. See the section on the Korean War, featuring Cold War After 5 O'Clock political cartoons from the Jack Knox Papers. 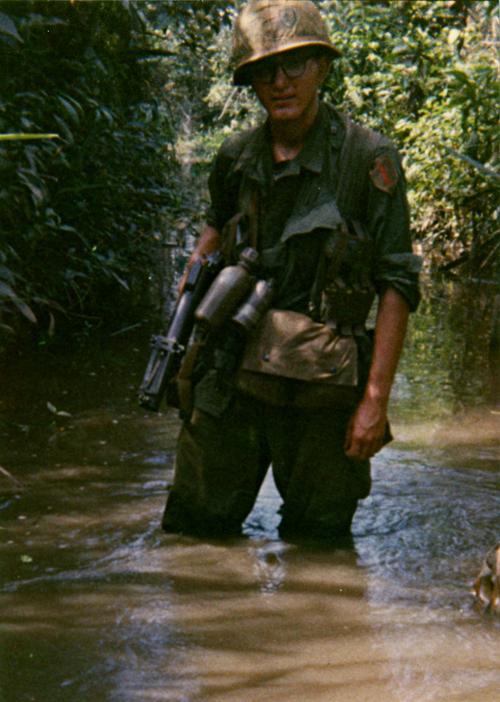 See the section on the Vietnam War, featuring items from Christopher Ammons Papers. The Korean War Memorial in Washington remembers those veterans who were asked "to defend a country they did not know and a people they had never met." 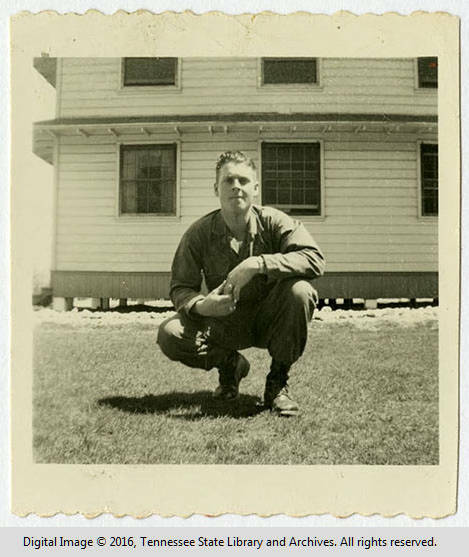 From his home on the banks of Cane Creek in Van Buren County, twenty-year-old David Franklin Brock traveled to the Nashville induction center of January 21, 1952 and reported for duty. Roughly the next two years of his life would be dedicated to serving his country in the first major Cold War military conflict.